What does it take to make a better life for yourself? How is a better life even possible when your family is falling apart while you’re stuck in jail? For Angel, life has never been easy but she’s managed to reorganize it to fit her circumstances – multiple times over. When tragedy strikes and she’s locked away from those she loves it’s a battle of wills between me, myself, and I in order to assess the damages of a heart wrung out one too many times. Miss Carr launches readers immediately into a crisis that rocks the foundation of the protagonist, Angel’s, life. She is mercilessly forced to re-examine her core beliefs in order to begin to understand her family and heal from wounds both present and past. Angel speaks from the heart in a whirl-wind of poignant first-person, stream-of-consciousness narration. The way the human mind makes sense of its surroundings and emotions is realistically portrayed in Miss Carr’s writing. The past, present, and future mingle on the page just as they do in the mind – creating meaningful links and associations that gradually reveal the woman who is Angel. Family Tree is acutely insightful into the harrowing upbringing and struggles that many families face. The brutal and open honesty of this work destroys any misconceptions an outsider may have of surviving to obtain some semblance of the American Dream. Through a psychological and emotional roller coaster ride, Miss Carr reveals a glimpse of life that speaks to anyone who has faced adversity and differences of opinion with family ties. My only reluctance in giving Miss Carr a perfect score is that intrinsically, stream-of-consciousness point of view does not allow for the observation of the ‘every day.’ Readers know when and where they are throughout the book, but we do not learn much about the details of setting or what someone looks like – after all, Angel knows these people, these places, and does not internalize the obvious… what she already knows. I would have liked to differentiate Angel’s family member by more than just her impression of them and their name. Although it may not have felt true to life in the writing, some aspect of visual perception would have brought me that much closer to the open hearts bleeding on the page. 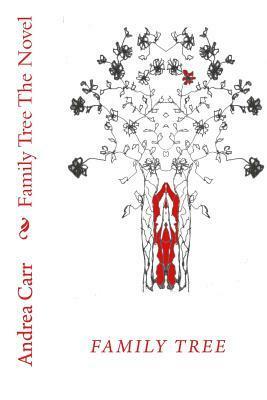 Overall, Family Tree The Novel is a captivating and insightful look at a family in the midst of turmoil and what we do as individuals to cope with the reality of life. ‹ Canadian 1 Act Playwriting Contest! Reblogged this on Family Tree the Novel.